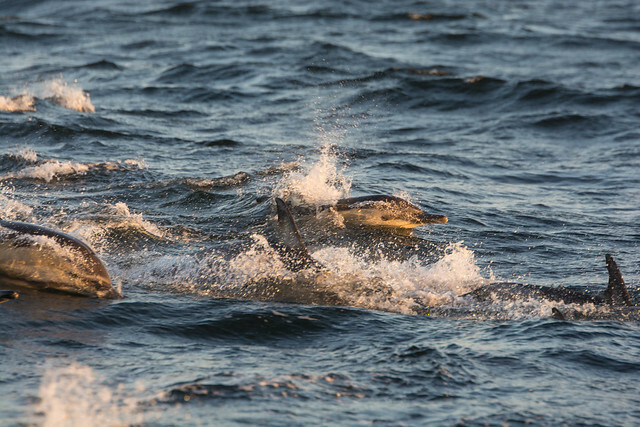 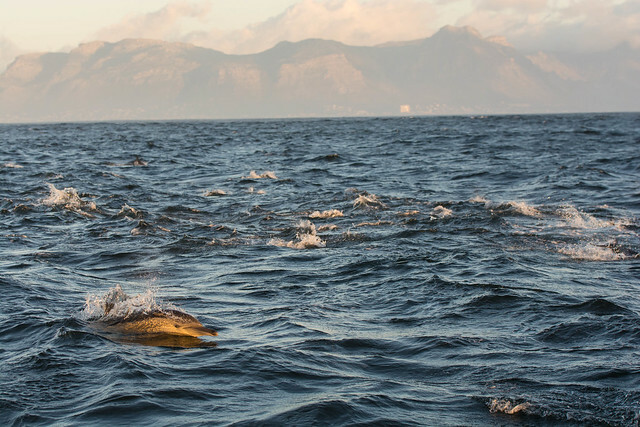 Near South African coast, dolphins congregate into large pods, hundreds of individuals. 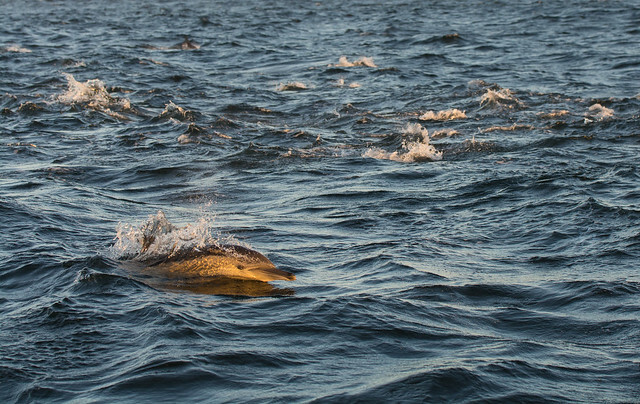 We met this pod at dawn on our way to the Seal Island, False Bay. 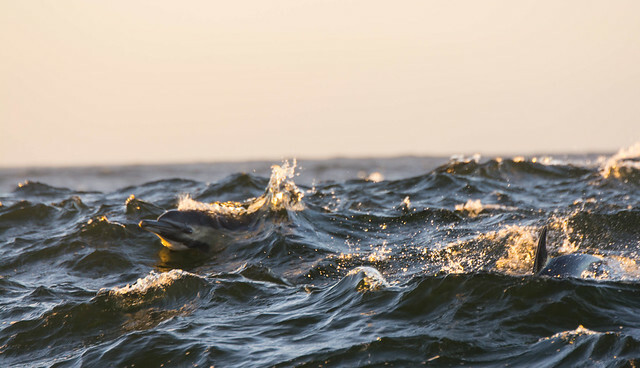 Africa is full of nature wonders!